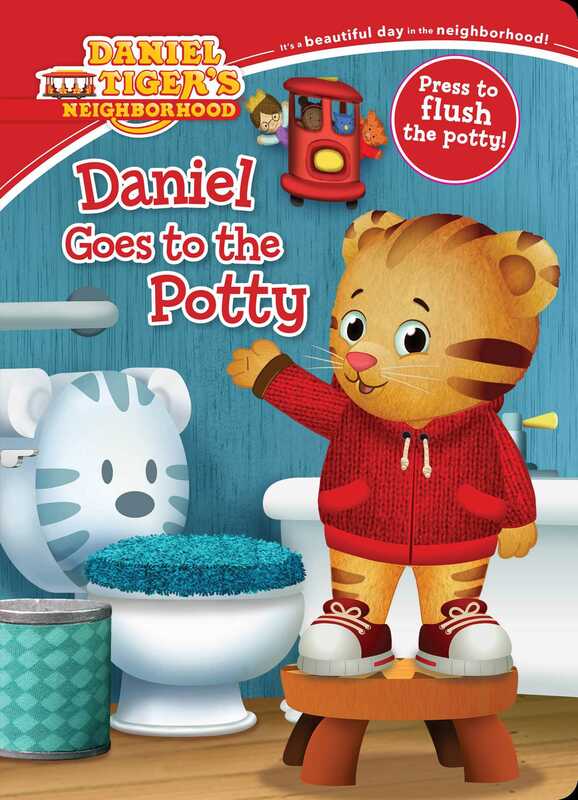 A perfect new potty-training book for Daniel Tiger fans—push the button and hear the potty flush! Daniel and his dad are at Music Man Stan’s music shop when Daniel has to go to the potty. Will he have to wait until he gets home to use the bathroom? In this adaptation of a popular episode, Daniel learns that there are bathrooms in lots of places and that he can use the bathroom in the shop or anywhere else in the neighborhood. So remember: when you have to go potty, stop and go right away! This adorable book, with a button for kids to press to make the potty’s “flush” sound, is sure to be a hit with Daniel Tiger’s youngest fans!